Qatar government offers health card, using which you can get subsidy for your treatments in the government-run hospitals of Qatar i.e. Hamad Medical Corporation(HMC) hospitals. It is a non-profitable organization functioning Qatar. It runs five hospitals and 24 primary care centers in Qatar. Hospitals in Qatar have world-class facilities. This health card scheme by this hospital is very helpful for the people, who don’t have medical insurance for themselves. People with private insurance also can make use of the health card issued as a compliment. This health card looks like the driving license issued by the government. It has ID number, photos and nationality and issued date. Everyone staying in Qatar regardless of their nationality or nature of work can get the subsidized treatment in HMCs. In private hospitals, the cost of treatment is high as compared to HMCs. Privates don’t give complete services, unlike HMCs. The government-run hospital service is available in all areas. But, usually, you are directed to go to the faraway hospitals assigned. How can I know the health care center assigned to me? you can also get medicines at a subsidized rate in the pharmacies run by the Qatar government. Children born in Qatar don’t need the Health card. Health card expires in one year after the issue of the card. 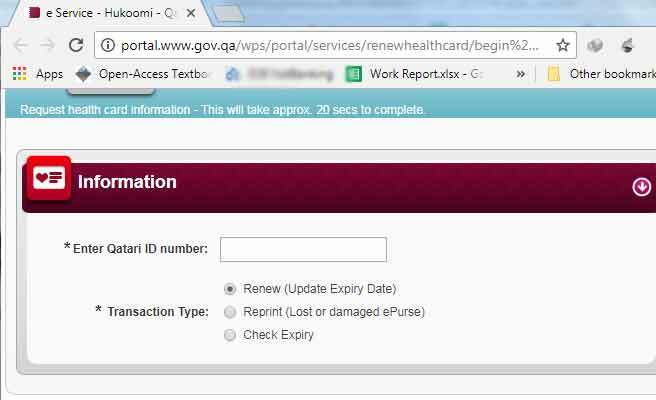 Following documents are needed when you apply for a health card in the gulf country Qatar. If you are a domestic staff, passport with a residential permit and a photo and with Qatar ID of the sponsor. With that, you need to pay QR50 for getting the card. With all the documents you have to visit the nearest primary medical center run by HMC which has healthcare office. You have to visit on mornings, as they don’t process your application in the afternoon. After submitting the above-said documents, you get the health card immediately in the HMCs. Payment has to be done using credit card, as paying with cash is not available. You have to apply again to get the new card by paying QR 50 for Qatar national and QR 100 for other country citizens. It is a very easy procedure, to get your Health card renewed. You just have to visit HMC’s hospitals and on spot, you will be given the new renewed card. It can be renewed in any post offices of Qatar and also you can renew it online using this link. After applying in the post office or online, you will get the new health card in two or three weeks after the date of application. Having health card brings you many benefits while in the hospitals in Qatar. 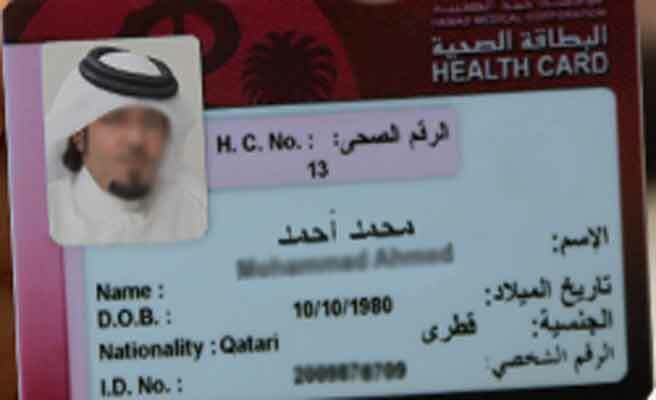 If you are in Qatar, you can simply follow the descriptions said before to get a health card easily.